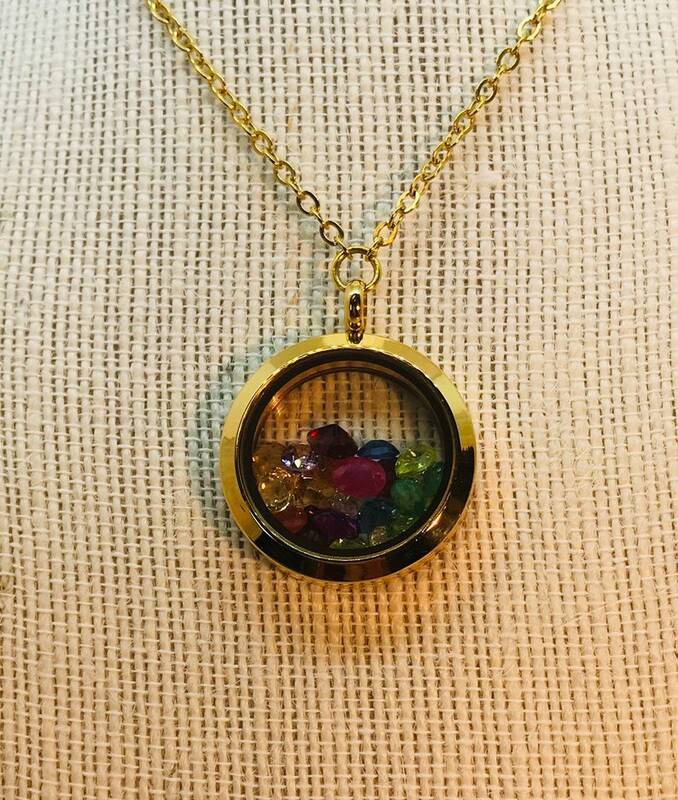 This non-tarnishing gold stainless steel glass locket pendant contains 10 carats of genuine faceted gemstones! The locket is 30 mm wide and includes the stainless steel 20 inch chain. The locket is reversible with a smooth finish on one side and frosted texture finish on the other side. The 10 carats of faceted gemstones are selected at random for a nice mixture of color. The gemstones can include a random selection of rubies, emeralds, garnets, citrine, topaz (blue and white) and amethyst to name just a few of the possible gemstones.